Migraine is more likely to occur in woman than in men, and can be felt as a throbbing pain which affects one side of the head, accompanied by various symptoms like nausea, vomiting, disturbed vision etc. Some causes of a migraine are hormonal changes, stress, diet, sensory stimuli, sleeping pattern, changes in environment, medications, and physical factors. Make sure you know the difference between a migraine and a headache before using these home remedies, as the remedies for headaches are very different. There are many medications that helps a migraine, but home remedies can give you relief in the long run. Peppermint has calming properties which helps to get relief from the migraine pain and symptoms. Take few drops of peppermint oil into your hands. Rub it in your forehead and temples. Leave it for 15 – 30 minutes. Wait for the anti inflammatory property to sink in. It is very effective in treating the nausea symptom, which is caused by migraines. Wash a fresh ginger root and pat dry. Peel off the skin and cut into small slices. Pour these slices into a saucepan. Add water and let it boil for 15-20 minutes. Remove from the heat and drink it slowly. The anti inflammatory property of tea tree oil reduces the inflammation which causes the pain of a migraine. Take few drops of tea tree oil into your palm. Massaging gently on your head, until it has been absorbed by skin. Vinegar helps to cure the migraine as it protects your brain cells which can get affected by the migraine. It can give relief for pregnant women without any harm. Soak a wash cloth in a bowl of vinegar. Lay this cloth on the affected area. Leave for 30 minutes to allow the vinegar to seep into your skin. Dandelion root tea contains many vitamins like A, B, C and D and iron, all which will help to give relief from the pain of a migraine. Add all ingredients (except honey) in a sauce pan over high heat. Strain and add a little bit of honey to sweeten. Drink a cup a day to get relief from migraine. Capsaicin is present in cayenne pepper, and is a terrific pain killer. Take few cayenne peppers / red peppers, and add to your meals. Alternatively, take cayenne pepper capsules. Fever Few is a bushy, aromatic herbal plant used to treat migraines. When used with a herb like willow bark, it reduces the intensity, frequency and duration of a migraine. It reduces the inflammation in the blood vessels in the brain which also alleviates other symptoms. Take 250 mg a day, but not while you’re pregnant or planning to get pregnant. Magnesium helps to relax nerves and muscles by transmitting nerve impulses throughout the body and brain. It also helps to prevent the nerves from becoming over excited, preventing the migraine. The recommended amount is 200 – 400 mg per day. Foods like pumpkin seeds, swiss chard, soybeans, sesame seeds, flaxseeds, quinoa, sunflower seeds, salmon, black beans etc. are rich in magnesium. Aerobic exercises are a proven effective treatment for migraines. Regular exercise helps to reduce tension and fend off stress. These exercises will also trigger the release of endorphins, which acts as a mild sedative. It is recommended that 150 minutes of moderate aerobic activity or 75 minutes of vigorous aerobic activity per week will help. However, try not to overdo it. This has anti inflammatory properties to reduce inflammation. It protects the brain cells, so gives relief from pain. It is rich in fishes, nuts, walnuts, flaxseeds, halibut, pacific oysters, sardines etc. Do you know – How to treat Sinus Headache using natural home remedies? Riboflavin, or vitamin B2, helps to protect the cells from oxidative damage and is involved in energy production to prevent migraines. It is recommended to take 400 mg per day for at least 3 months with a B-complex supplement. Whole grains, broccoli, asparagus, crimini mushrooms, yogurt, eggs, almonds, low fat milk, lamb, lean beef, liver etc. are rich in riboflavin. It is an antioxidant nutrient which is essential in blood vessel health. It increases blood flow to the brain, improves circulation and helps to protect cells from oxidative damage. It also helps to stabilize blood sugar. 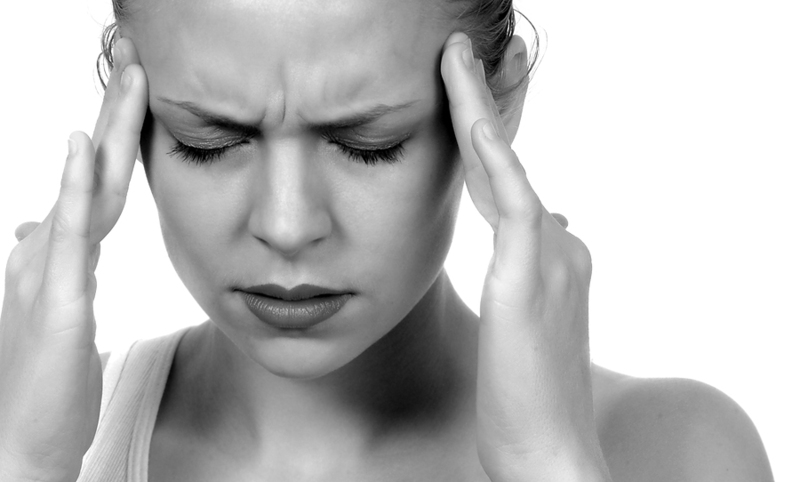 It is recommended that taking 60 mg of CoQ10 acts as a preventive treatment for migraines. It is found in liver, kidney and hearts, as well as whole grains. Vitamin B6 helps to treat nausea, vomiting and headaches. It also helps to control stress levels. Food like hazelnuts or filberts, molasses and sorghum syrup, lean, sunflower and sesame seeds, fish, liver, garlic, pistachios, dried herbs and other spices, rice and wheat are rich in vitamin B6. This is one of the oldest remedies used for the treatment of migraines. Take ice cubes or cool water and apply these on the affected part of the head with a towel or wash cloth to get instant relief. This can be either inhaled or applied directly on the affected area. Take 2 – 4 drops for every 2-3 cups of boiling water used and inhale the oil vapours to get rid of the migraine. This should not be taken orally. There is no need to dilute when applied externally. A practitioner inserts thin, disposable needles into several parts of the body / skin at defined points to get relief from a migraine. There are many clinical facts that have been found that acupuncture is helpful in treating the pain. Migraine pain comes from flavonoid called rutin. These flavonoids are phytochemicals which are commonly found in plants. Buckwheat contains anti oxidant properties which will counteract the damage to cells and reduces the inflammation causing a migraine. It is recommended to take buckwheat regularly. Relax on the bed with your face up and legs elevated. Your head should be hanging off the edge, this will allow your blood to circulate to the affected area to get relief from the pain. When it is used with the combination of ice therapy it is effective and will give instant relief by reducing the inflammation of blood vessels. This contains headache preventing properties which help to give relief from the migraine by reducing the inflammation. Taking 100 mg every three hours a day will give relief from the migraine. Dip a wash cloth in hot water. Put it around the affected part of your head. Put a wash cloth on a saucepan over medium heat for few minutes or in the microwave. Take it out and apply on the affected part of the head. Take a hot shower. Stay in the shower as long as you can to prevent the migraines. Scalp massages are a great way to alleviate the pain. It works by massaging the greater occipital nerve i.e. the area in the back of the head, at the base of the skull to reduce the migraine pain. Caffeine can restrict blood vessels to lessen pain. Have a cup of tea which has caffeine to get relief. Follow these tips to get rid of migraines. Dehydration can cause migraines. Drink at least 8 – 10 glasses (Oz) of water every day. Tying a headband around your head will give some relief from the pain. Sleep regularly at the same schedule. Keep your room dark, as irregular sleeping times and light will trigger a headache which can lead to a migraine. There are certain foods and drinks which trigger for migraine headache, so make a note of all these things and avoid them. Chicken Broth helps to get relief from vomiting symptoms during your migraine. 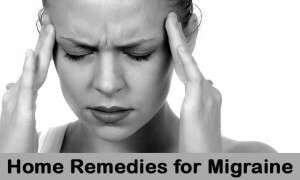 It replaces the needed electrolytes and helps to relieve you from migraines. Soak your hands in ice water as long as you can tolerate it. Taking a bath with all lights off to relax your body. Try over the counter medications like Tylenol and ibuprofen, aspirin, acetaminophen etc. Regular checkups of progesterone levels will help you to check whether you are in health. You have to recognize the early warning symptoms of a migraine like visual disturbance, stress, fatigue or restlessness will cause migraine. Follow meditations and do yoga etc. to stop you getting stressed. Dry air can increase the chances of getting a migraine, so open your windows and doors or use a humidifier or ionizer. Always have a low fat diet with fewer calories. Biofeedback, massage therapy, cognitive behavioral therapies etc. are also used in treating migraines. Taking vitamin B12 everyday helps to stop migraines. Have a cabbage compress by taking several cabbage leaves and make a compress to lay it on your head. Bio freeze is a product which helps you to get rid of the pain. Apply this on your neck and back directly to get instant relief. If there is no change in your migraine pain after using these remedies, then immediately consult the doctor for medication. Make sure to get the advice of your doctor first before using any of these remedies. Do you know any other remedies? Please share with us. You might also want to check out our separate post on Top 8 Valuable Acupressure Points for Painful Migraines! great article , i believe more than 90 percent of the patient will be helpful with this thanks very much . Thanks for your supporting words. Keep visiting our website. How should braggs acv raw unfiltered be stored?fridge or cupboard? You don’t have to place the opened bottle of ACV in refrigerator. However to preserve the flavor, close the lid tightly and place it in a dry, cool place like pantry.